You asked. We listened. We’re excited to announce that our clients can now provision virtual servers with more cores and more RAM. 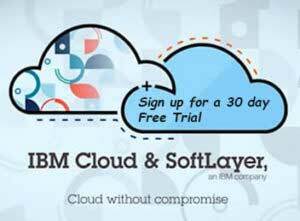 Starting today, you’re now empowered to run high compute and in-memory intensive workloads on a public and private cloud with the same quick deployment and flexibility you’ve come to enjoy from SoftLayer. After all, you shouldn’t have to choose between flexibility and power. Oh, and did we mention it’s all on demand? Deploy these new, larger sizes rapidly and start innovating—right now. Whether you require a real-time analytics platform for healthcare, financial, or retail, these larger virtual servers provide the capabilities you need to harness and maximize analytics-driven solutions. Popular use cases for larger virtual servers include real-time big data analytics solutions requiring millisecond execution as needed by organizations processing massive amounts of data, like weather companies. Given the immense amount of meteorological inputs required for any location, at any time, at millisecond speed, larger virtual server sizes power weather forecast responses in real-time. With SoftLayer virtual servers, you can segment your data across public, private, and management networks for better reliability and speed. You get unmetered bandwidth across our private and management networks at no additional charge, and unmetered inbound bandwidth on our public network. As real-time data-intensive workloads are developed, SoftLayer ensures that our best-in-class network infrastructure can retrieve and move data with speed.